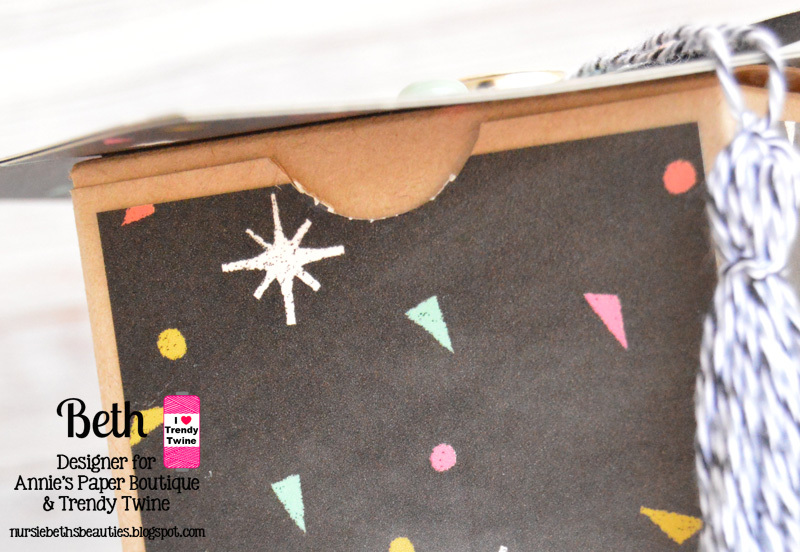 I started with a clean and simple design, some basic white cardstock and B&W polks dots. I knew I was going to color those adorable donuts from the Foodies Planner Stamps a hot pink to go with my B&W theme. 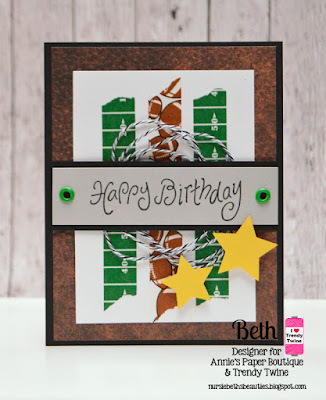 I just think these little guys are adorable and it's so fun to use planner stamps for cards too! You have a few more days to grab the Midnight Trendy Twine at a great price! 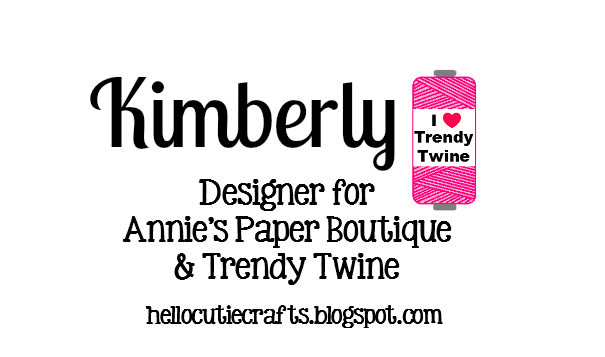 Good morning, Trendy Twine fans! Beth from Beth's Beauties here with you today. I struggle to make masculine cards at times, but this one was so much fun to make! 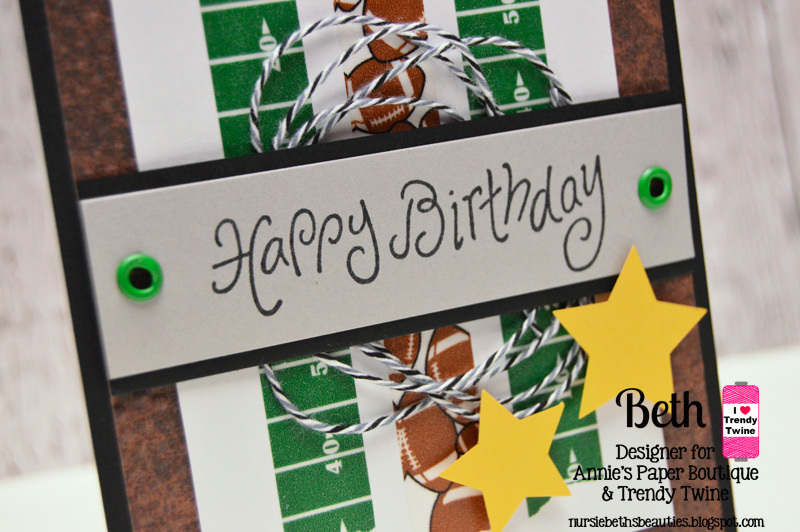 My inspiration came from the football washi tapes. The Midnight Trendy Twine was the perfect embellishment and matched the color scheme well. I wound it in messy circles and adhered it behind the Happy Birthday sentiment. The leather looking background paper is from DCWV's Treasures stack. Hello! 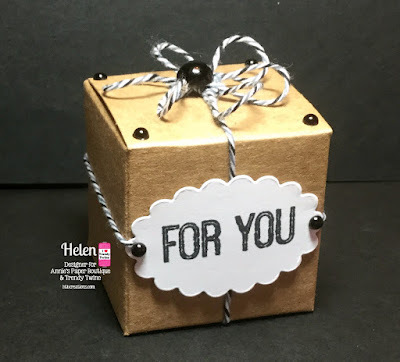 This is Sukie with a Kraft Gift Box project featuring some gorgeous Midnight Trendy Twine. I embellished my box with some coordinating papers from the DCWV Lemon Flower Stack. A large hand cut flag was adhered onto my box and folded over the edges. Next, I cut out a tag and flower using my Spellbinders dies. I love all of the detail on the flower which is a bit hard to see in the pictures. The smaller flowers were punched with a couple of Fiskars flower punches. A bit of bling was added to the centers of the flowers. The sentiment was stamped form the Scrappy Moms Many Thanks (retired) stamp set. The box was finally wrapped up with some Midnight Trendy Twine. 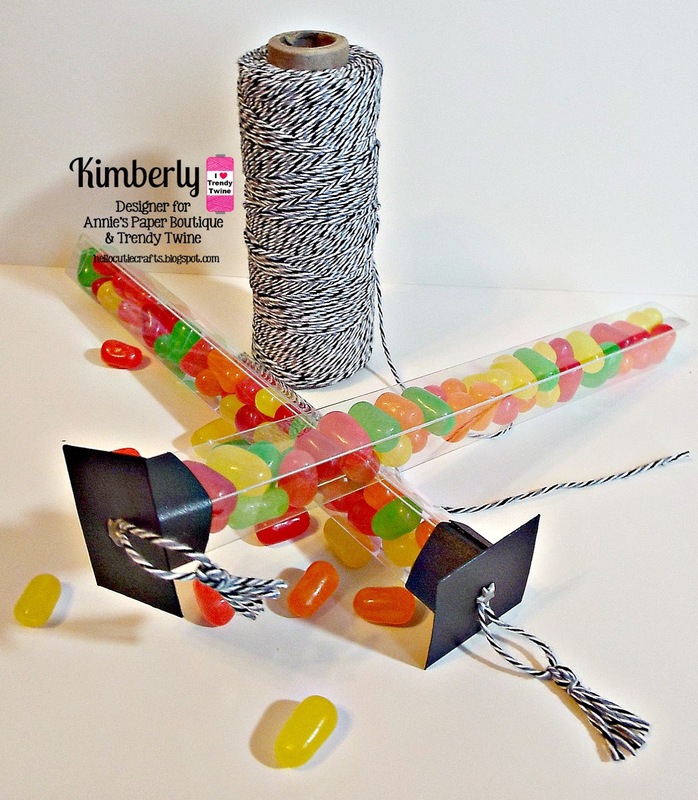 This fun kraft box and twine are both available in the store along with lots of crafty goodies. Thanks so much for stopping by! Have a great day! Good morning! Beth from Beth's Beauties here. 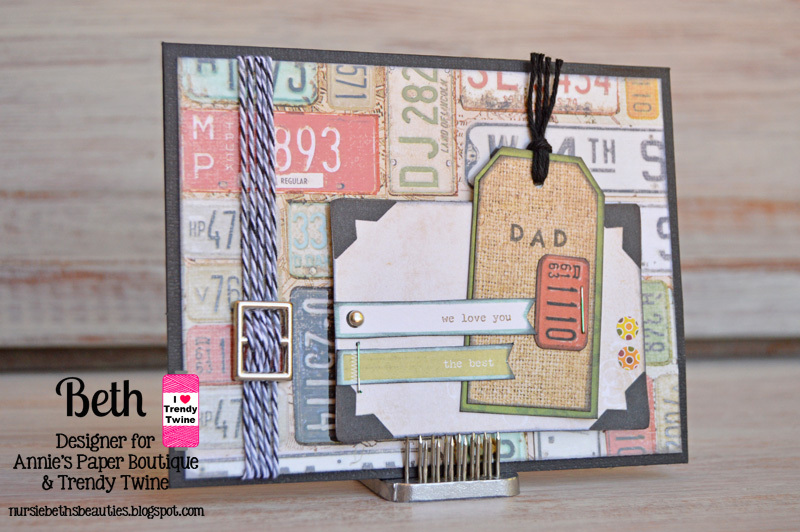 For today's post, I decided to plan ahead and make a Father's Day card. When I saw this paper from DCWV's Treasures stack I knew I needed to create with it! The Midnight Trendy Twine coordinated very well with it and I laced it through a silver buckle to add to the masculinity of the card. I also added Totally Black Trendy Twine at the top of the tag and finished embellishing with two of the inner dots from the Hello Fall Trendy Page Dots. I love how it all came together! Can you believe Planner Friday has come around again already? 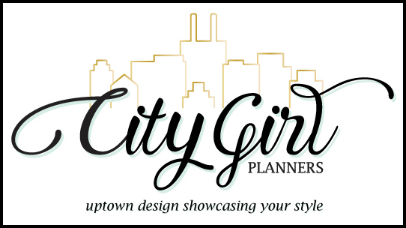 It feels like I was only just here with you sharing my ideas for pretty and practical planner pages and now I am back again! When I decorate my pages I usually leave myself plenty of space for my to do lists, reminders and notes, especially if I am not sure how busy my week is going to be. If I have any blank spaces left once the week is part way through and I have a better idea of how much room I need, then I fill them in with either stamps, stickers or doodles. My theme for this week was the Mad Hatter's tea party so I used a couple of stamp sets that had cute cups in them for some added decoration. I liked pairing the smaller cups from the Need Coffee set with the larger ones from the Drinks & More set, they remind me of mismatched tableware which is how I imagine the Hatter's table would have been laid. 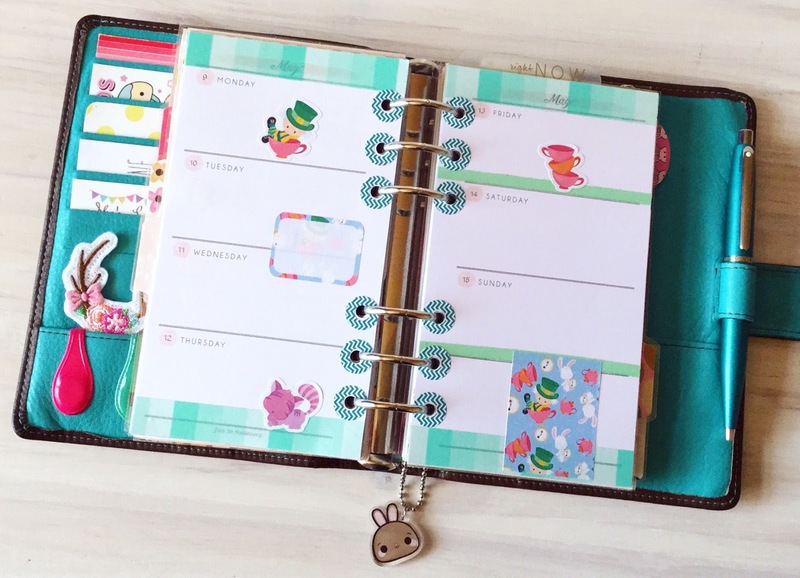 If you want to get creative with your planner pages then Annie's Paper Boutique has everything you need to get started, why not take a look now and see what takes your fancy? 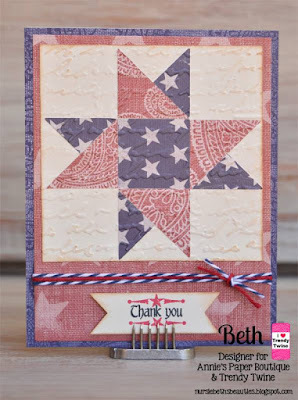 I will be back next month with a new set of stamps to show you, I hope I'll see you then! 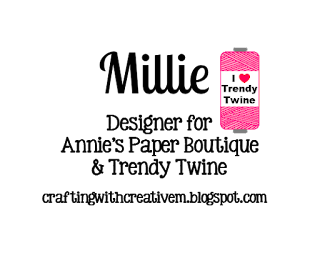 It's Millie, from Crafting with Creative M sharing a project I made featuring Midnight Trendy Twine. I made a pretty tag for a pretty treat! I found the butterfly tag from TBBM 2 on the Cricut Design Space. I used the Black & White paper pad from Recollections. For the inside of the tag and the "thanks" die cut, I used Bazzill Basics dotted swiss card stock (yellow) for some texture. 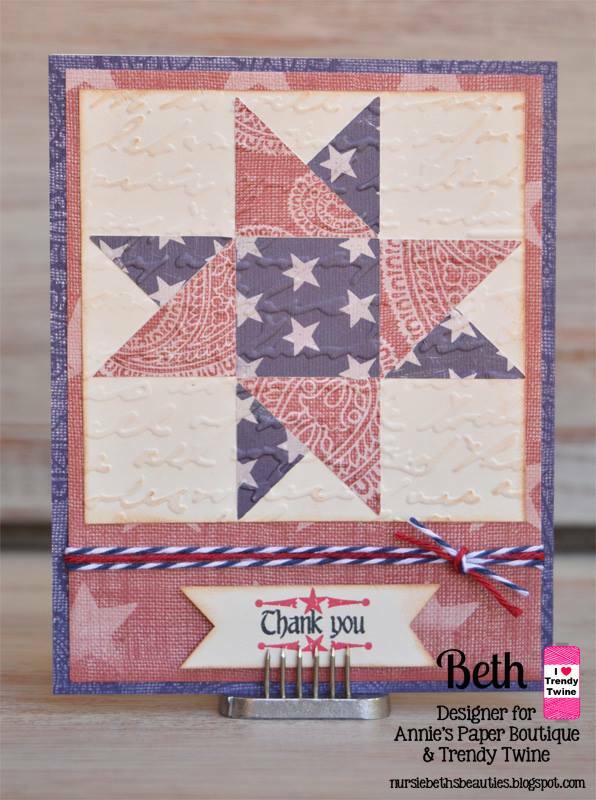 The "thanks" die cut and the "so much" sentiment are from Happy Thoughts w/ coordinating dies from My Creative Time. I placed a Yellow & White Polka Dots-Trendy Page Dots and a white pearl to the center of the pretty Midnight Twine bow. I filled a Black Chevron Favor Bag with gum drops, adhered a white tea lace paper doily from SU' and wrapped Midnight twine around the favor bag. used a hot glue to adhere a mini clothespin to the back of the tag. 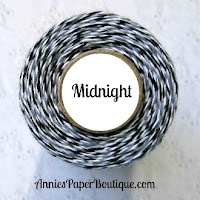 Today I am sharing another project featuring Midnight Trendy Twine. and Graduations seem to take center stage for most people. 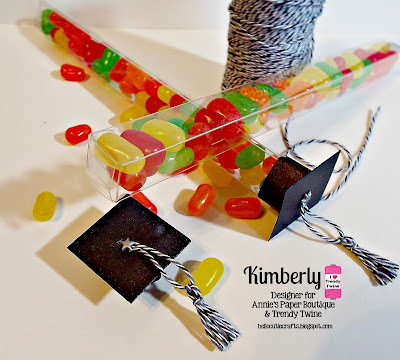 For my project today, I made some treat holders for the special grad in your life. small Midnight Trendy Twine tassles held in place by a small star brad. I filled the fun skinny candy chutes with mini Mike and Ike candies for some color and fun. Make sure to check out my blog for further details! Happy Monday! This is Sukie and I have a single page layout to share today featuring some gorgeous Midnight Trendy Twine. I found the perfect paper in the DCWV High School Stack which I used for all of the different elements on my page. 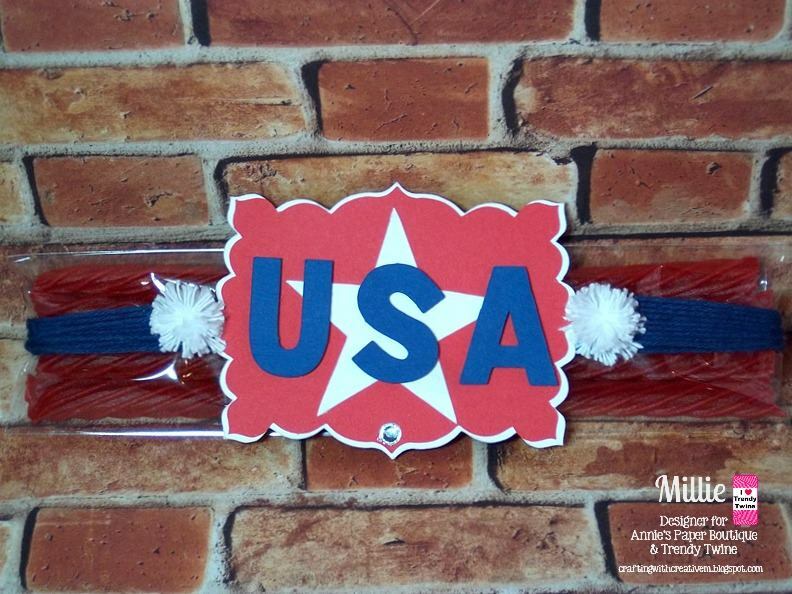 The frame for the graduation tag and the silver flag and star came from my stash. I added a couple of twine tassels to my layout and I love the dimension they add. 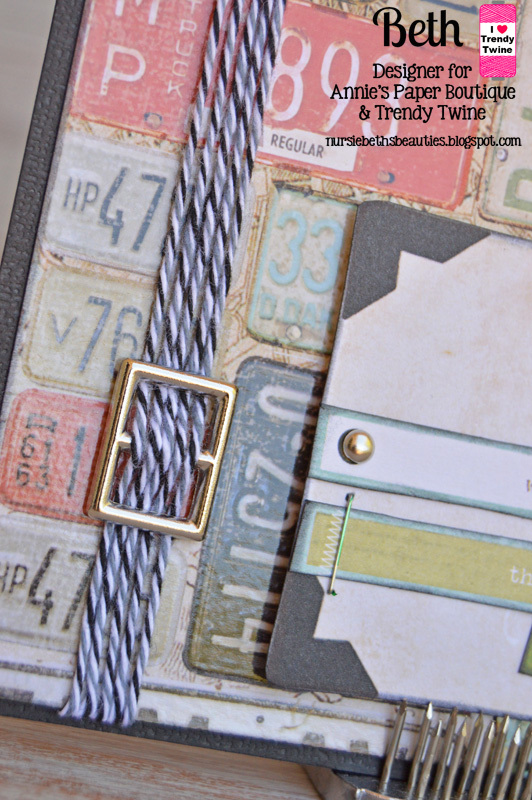 Both the photo mat and tiny notebook papers were accented with a bit more twine. I punched the edges of the tiny notebook papers with the Fiskars Notebook Punch. A few sprinkled enamel dots were used as an embellishment. 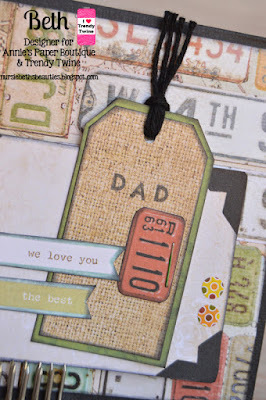 The sentiment is from the Scrappy Moms Critter Crazy (retired) stamp set. Thanks so much for stopping by! 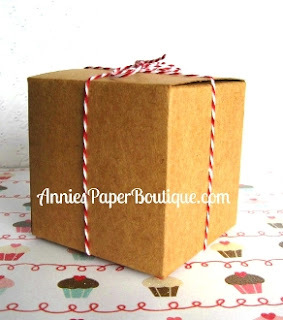 Head on over to Annie's Paper Boutique to check out the gorgeous twine used on my project along with lots of other crafty goodies! Have a wonderful day! Happy Saturday! Beth from Beth's Beauties here with you today. 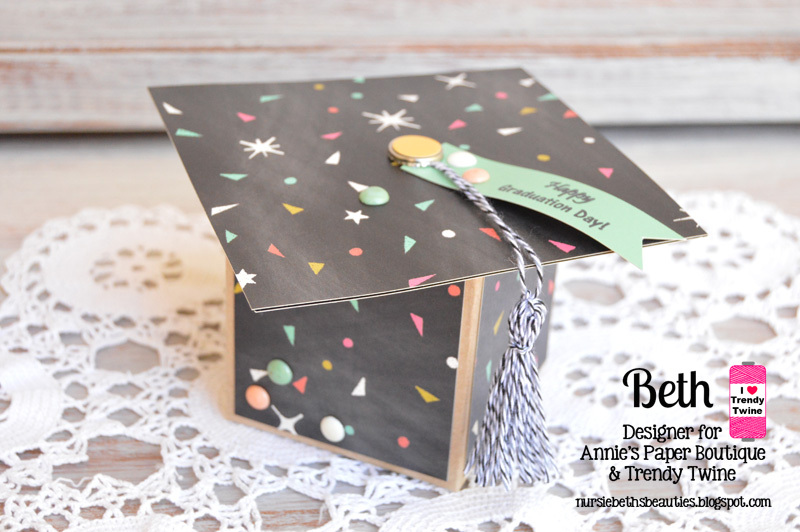 This month is all about graduations, so I created this sweet gift box to share with you! I started with a 3x3x3 Kraft Boxes and covered the sides with paper from DCWV's Chalk Party stack. I thought the confetti on it was a lot of fun :) Then I cut 2 4.5" squares and adhered them to the top of the box to resemble the mortarboard hat. The tassel is made with Midnight Trendy Twine. 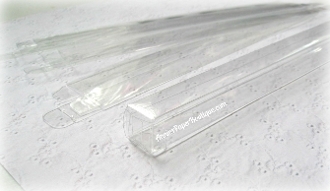 This shot is to show how I cut out a curve on the box so it would assure easy opening! 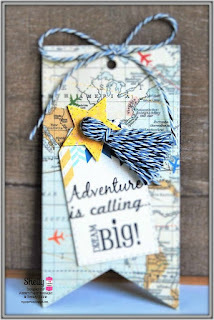 This is Shelly over at My Paper Love sharing a fun graduation tag featuring Midnight Trendy Twine. It is such a momentous occasion to have a student graduate, especially when they are going to study abroad while traveling to 6 countries doing charitable work & obtaining a Masters degree. We are very proud of our cousin! I'm sure my cousin will enjoy his new adventure and I wish him and all graduates much success! 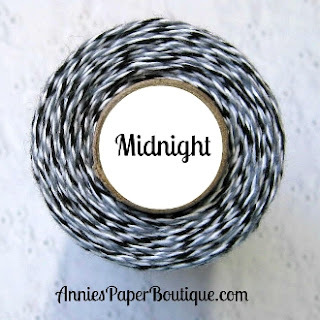 You have the entire month of May to grab the Midnight Trendy Twine at a great price! 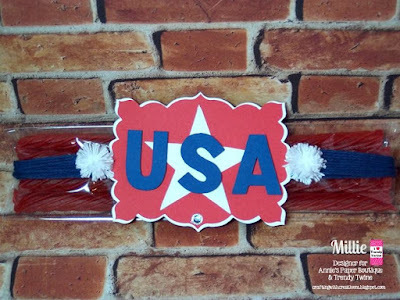 It's Millie, from Crafting with Creative M and this month we are showcasing projects using Midnight Trendy Twine. 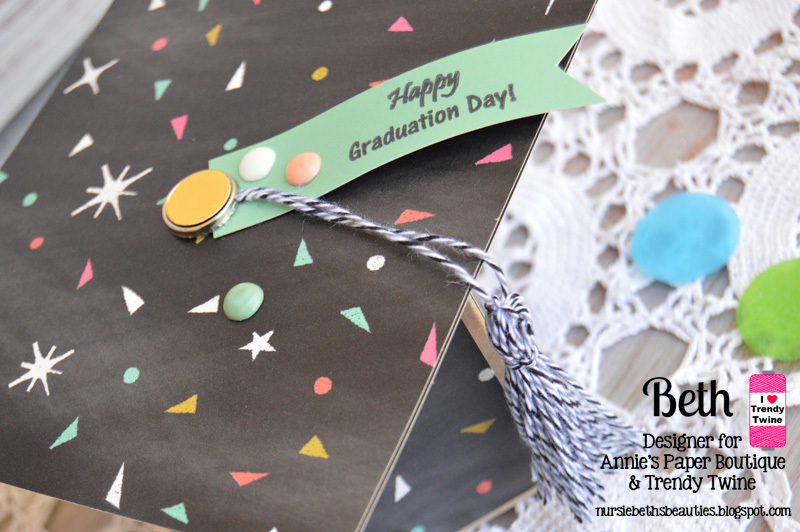 Here is what I created.....A Graduation card! 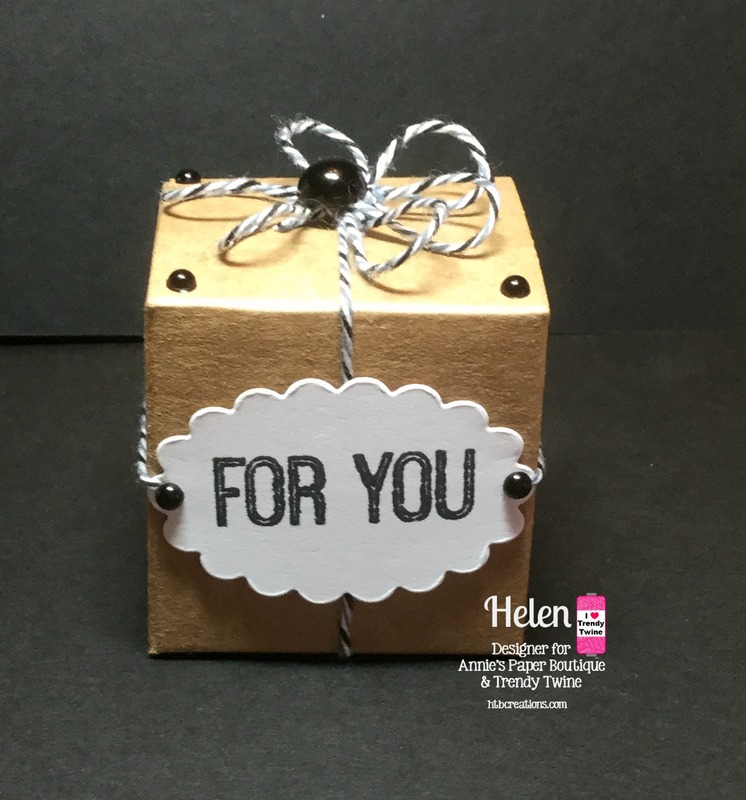 I used the Black & White paper pad & basic card stock from Recollections. foam dots to adhere the owl to the center of the die cut star. I used Midnight Twine on the banner and bow. 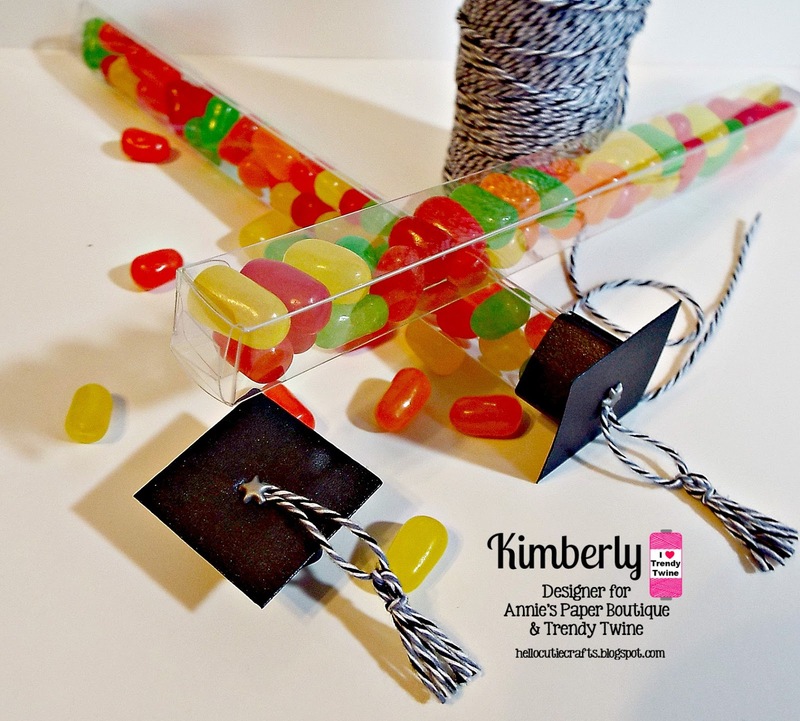 For the tassel on the grad hat, I used Totally Lemon Twine. I stamped the Congrats Grad! sentiment on a banner. For my banner I used Tiny Banners & Toppers Dies and Midnight Twine. 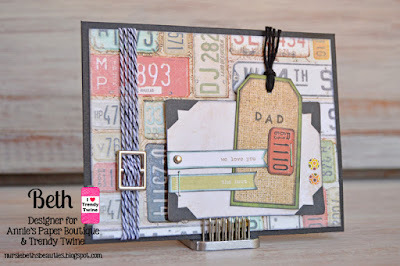 For full details on my card, please stop by my blog.